Dragons at the Book Jam! On the 7th June I am going to be taking part in the St Ives Book Jam for the third year running. The theme for this year’s summer reading challenge is “Mythical Maze” which has inspired me to want to make DRAGONS! This year I will be holding a collage and drawing workshop at 11am at the St Ives Library and the children who come along will be making dragons from all sorts of collage materials including glittery stuff and anything suitably dragony that we can make stick. 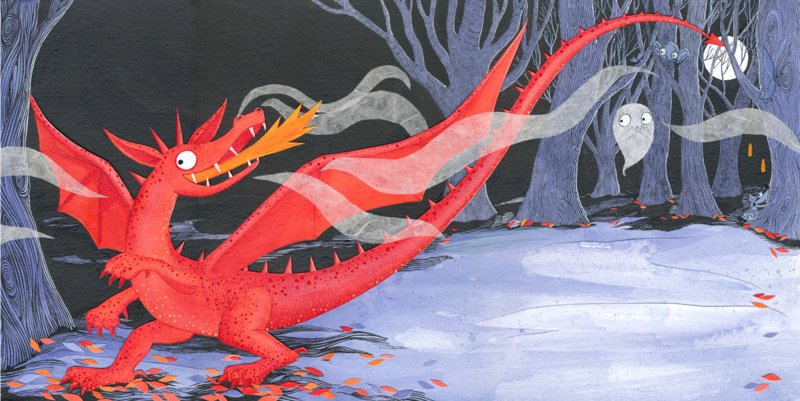 I will be writing a bit more about this before the event but for now here is a little dragony inspiration to be going on with from my book Ready, Steady, Ghost!